Mother’s Day is quickly approaching – are you ready? This year my husband will be in the hospital recovering from a surgery and my mom will be at home recovering from a surgery (we sound like a sick bunch, don’t we?) so I’ll have to do something for myself. I’m thinking anything dipped in chocolate will do. 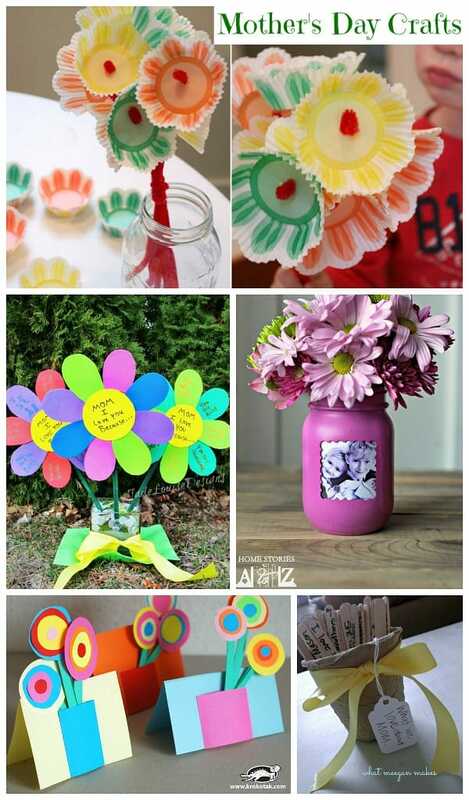 My son is at an age now where he’s excited about craft projects so I’ll have to try some of these Mother’s Day craft ideas with him. This is a collection of ideas from other talented bloggers & writers. To view the full tutorial for any of these ideas, simply click on the title of the idea and it will open up in a new window for you. 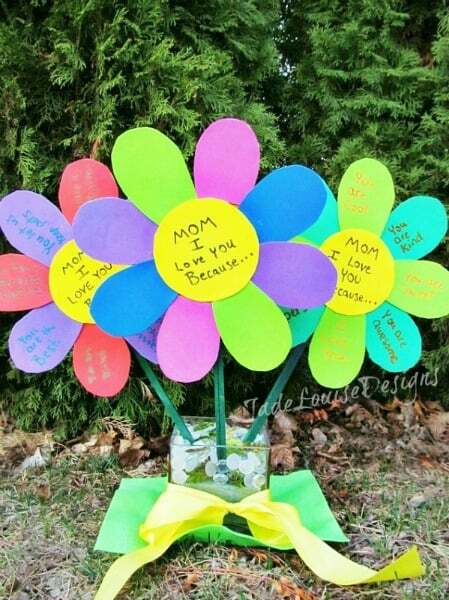 Don’t forget to visit our Mother’s Day page for even more fun ideas! 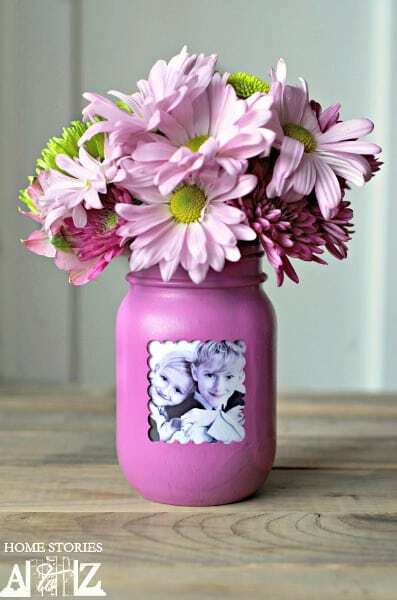 This Mason Jar Picture Frame & Vase (pictured above) by Home Stories A to Z is so beautiful! Younger children will need some adult assistance and supervision on this craft but it’s a wonderful keepsake. 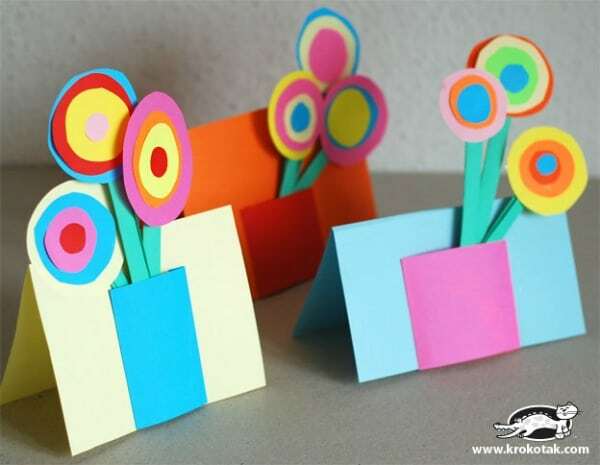 These Bouquet Cards by Krokotak are such a sweet idea and one that all ages will love helping with. Over on MarthaStewart.com you’ll find a fun Mom’s Gazette newspaper craft that is sure to be adorable with your child’s creativity. What do you think would be a great headline story about yourself? This I Love You Because flower garden by Jade Louise Designs is an adorable idea that will be filled with sweet thoughts from your little one. If there’s one thing we have a lot of around this house it’s cupcake wrappers. 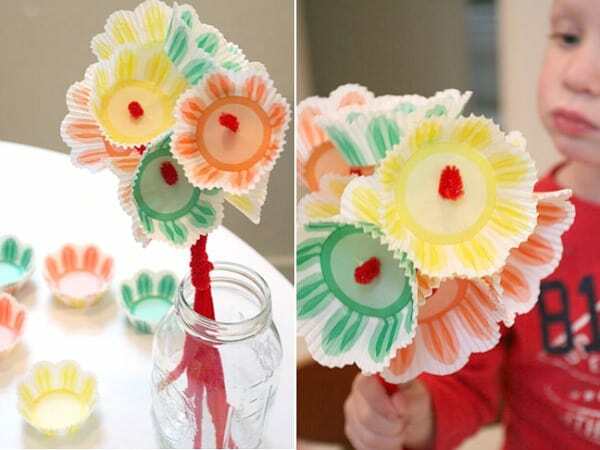 I love this Cupcake Wrapper Bouquet idea by Momtastic. A sweet bouquet that lasts longer than a fresh bouquet! The You and Me Book featured on Spoonful is absolutely adorable! I love that the kids are able to answer questions about how they see mom along with pictures and sweet words from the heart. 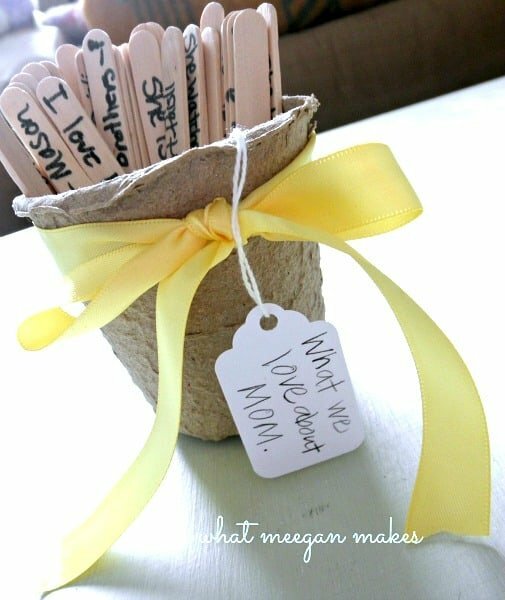 This simple What We Love About Mom craft by Meegan Makes is so easy to make that even a non-crafter like myself could tackle it! Even if the children can’t print yet, they can still tell an older sibling or adult helper what they’d like to write about Mom. Be sure to pop by our Mother’s Day page for even more fun ideas…a few sneak peeks included below! 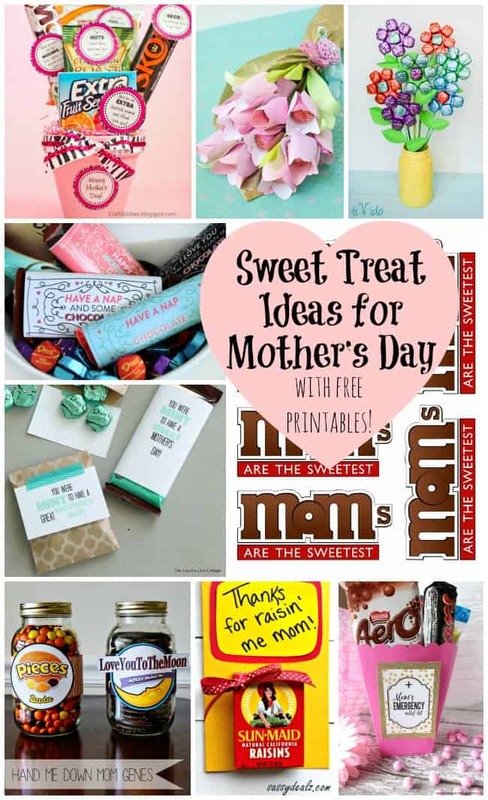 For a homemade sweet treat idea for Mother’s Day, don’t miss these FREE printables for sweet treat ideas! This next one isn’t a craft but it’s a cute & FREE gift idea for Mother’s Day – a free Mother’s Day Coupon Book! Thanks for the great ideas!! We are definitely going to do the mason jar picture frame/vase!